Crystal Palace Football Club second match in their 2006 preseason tour of the USA was against the LA Galaxy of Major League Soccer (MLS). The match took place at the Richmond Kickers stadium in Richmond Virginia on July 19th 2006. 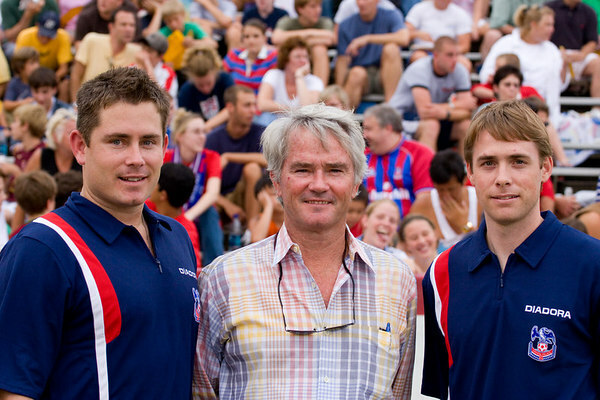 Left to right: Peter Medd (Crystal Palace USA VP and GM), Randall Medd (Crystal Palace USA President), Jim Cherneski (Crystal Palace USA Sporting Director).